After reading Remembering Everything, I'm finally getting around to reading Derek Zanetti's other book -- Existentialism: The Musical. It's a quick read full of thought-provoking stories and memories. Between this and his music recorded as The Homeless Gospel Choir -- even though he and I have never met face-to-face -- Derek is easily one of my favorite people on this planet. So this book isn’t in the guise of “The Homeless Gospel Choir,” instead it drops the facade of the clever name and lets the author just be Derek. In it there are stories that are poems and poems that are stories that cover the mundane every-day world, but Zanetti has a heart that makes the stories sing. I've been watching the History Channel special on D.B. 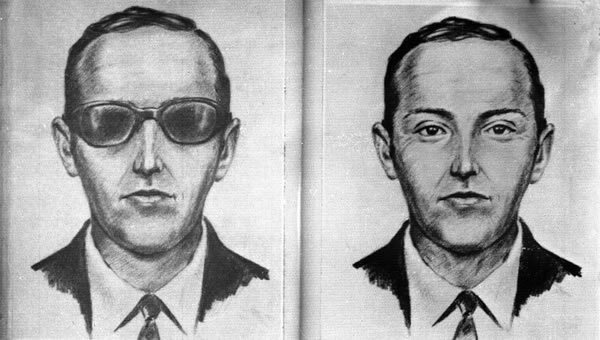 Cooper which claims to have finally solved the decades-old hijacking case. Count me among the population that hopes that Cooper's identity is never uncovered. For ten months out of the year, I spend my days working in an office with no windows as I long for the days of summer when I can enjoy the fresh air and sunlight at any given moment. Today I sat inside and spent five hours working on a puzzle.